The National Active and Retired Federal Employee Association is the only organization dedicated solely to protecting and preserving the benefits of all federal workers and retirees. 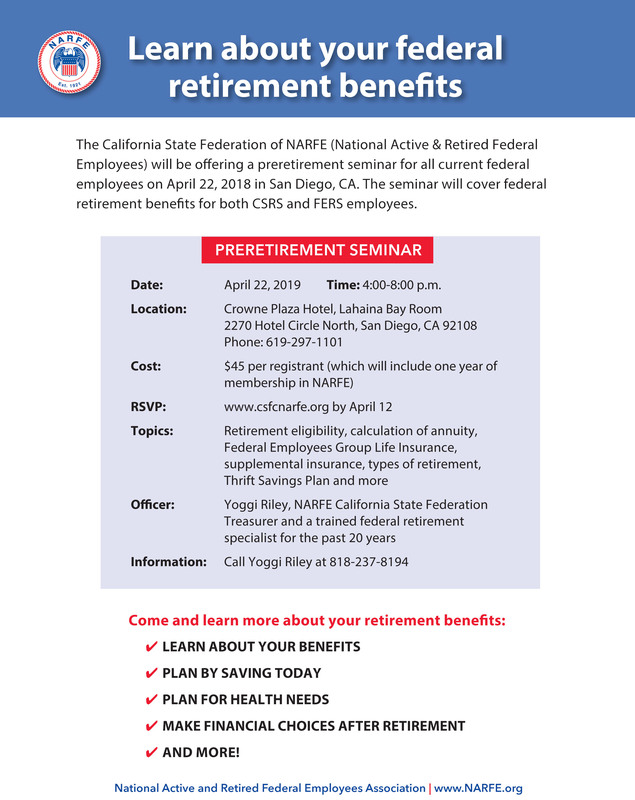 NARFE informs you of any developments and proposals that affect your compensation, retirement and health benefits, AND provides clear answers to your questions. NARFE respects the privacy of our members. Personal information is used to provide content and relevant communications to our members and will not be sold or rented to third parties. Get monthly issues of NARFE magazine with news and insights for the federal community. Access the NARFE Federal Benefits Institute for powerful resources to help you fully understand and manage your benefits. Visit the Legislative Action Center to contact your representatives about bills affecting federal benefits. Title* Select Title	Mr.	Mrs.	Miss	Ms.
and will not be sold or rented to third parties.